Lab Test: Who Profits From Scientific Research? Does the profit motive distort and degrade the unpredictable path of scientific discovery? The most striking thing about the way we talk about science these days is just how little we talk about it at all. No large fundamental question focuses our attention on the adventure of discovery; no grand public project stirs our reflection on the perils of technological control. Nothing for decades has approached the imaginative impact of relativity or the double helix, the moon landing or the bomb. Even genetic research, which generates so much attention in the media, is understood more as a medical issue–news you can use–than an issue of science as such. And if we talk about science very little, we talk about the scientist even less. The old stereotypes, once so evocative–the genius, the benefactor, the madman–have lost their potency. No Einstein or Pasteur anymore, no Frankenstein or Strangelove. Scientific research has become so highly collaborative, so much a group endeavor, that the investigators have been eclipsed by the explainers–the Sagans and Pinkers and Gladwells. Science has become so pervasive a part of the way things run that, like the servants in a Victorian household, the people who actually make it happen have disappeared into the wallpaper. Steven Shapin’s new book makes those people visible again, gives them a history and clears away the preconceptions with which the larger culture has surrounded them. Shapin’s earlier studies–Leviathan and the Air-Pump, A Social History of Truth and The Scientific Revolution–concentrated on the early years of modern science, the age of Galileo and Newton. Now he turns his attention to the past two centuries, bringing his story all the way to the present–or even, since scientists are understood to be the people, as he says, who create the future, a little further. Combining historical scholarship with sociological research, Shapin reveals the often sharp discrepancies between cultural assumptions about the scientific life and the attitudes of scientists themselves. Ideals such as creativity, integrity and autonomy are put to the test of actual experience. But though the book’s historical sections are consistently interesting, it seems to this lay reader that Shapin’s approach to contemporary institutional structures avoids most of the important questions about the ways scientists go about their business today and the effect these arrangements have on the kind of science–and therefore the kind of future–that we end up getting. Shapin’s narrative begins with the shift from science as calling to science as job. The figures of the Scientific Revolution–men like Newton and Boyle–were seen as rare spirits working in austere solitude to unlock the secrets of God’s creation. With little institutional support or financial reward, these natural philosophers, as they were called, devoted themselves to the discovery of divine Truth with a monastic disregard for material advantage. But two broad developments brought an end to this ideal. The Industrial Revolution gave science an instrumental purpose, and the secularization of consciousness deprived the natural world of its sacred aura. Science became caught up in the business of producing profit and enhancing state power, purposes mundane rather than transcendental. And scientific inquiry, whatever ends it might be put to, could no longer be seen as a form of metaphysical discovery. The one ultimate Truth became many empirical truths. Though the notion of the scientist as a kind of oracle of nature lingered on until well into the next century–Einstein, revered as both genius and sage, is exemplary–the idea of science as a higher calling had lost its philosophical underpinnings. What had been a vocation was on its way to becoming a mere occupation. Through the early decades of the twentieth century, the old notions came under still greater pressure. The allegiance to knowledge for the sake of knowledge and consequent elevation of “pure” over applied research, the principled disdain for self-enrichment and corollary belief in the scientist’s moral superiority, the commitment to investigative autonomy and free exploration as essential to the scientific project–all these were challenged by the explosive growth of industrial science. Westinghouse, Kodak and many other American corporations, seeking to emulate the success of German firms like Bayer, Siemens and I.G. Farben, established sophisticated and highly organized research centers. By 1940, as many as 3,500 industrial laboratories were in operation. Between 1920 and 1952, the share of national income devoted to corporate research multiplied more than twenty-fold. By 1958, Bell Labs alone employed more than 3,000 scientists. Such numbers swamped what the nonprofit sector could muster. By midcentury, the typical scientist was no longer an independent investigator toiling in splendid isolation or an unworldly academic ensconced in an upper floor of the ivory tower but an increasingly well-paid company man working project to project on tasks selected by superiors with the goal of enhancing the bottom line. There are revealing analogies here with the twentieth-century fate of two other groups: artists and scholars. Like scientists, both once laid claim to inherit the priestly functions and distinctions: asceticism, moral superiority, access to higher truth. Both saw their endeavors as ends in themselves, above the vulgar scrum of the marketplace. Both imagined themselves as constituting a select fellowship or caste. And over the course of the past century, both gradually surrendered these claims for the sake of social normalcy and material security. As their ranks multiplied, funding increased and organizational structures elaborated themselves, their distinct modes of being were increasingly subjected to institutional supervision and homogenization. Now we have the Iowa Writers’ Workshop and the MLA job process, turning out our modern-day seminarians. All three groups, in short, became professionalized. In describing the descent of science from calling to occupation, Shapin overlooks this useful, and crucial, term of analysis. A profession is neither a vocation nor a job but a typically uneasy modern compromise (like the middle class, or the novel) between these spiritual poles. By the middle of the twentieth century, something else had occurred, an event that radically altered the way that science was conducted and the scientist regarded: the Manhattan Project. Its ramifications were bureaucratic, political and ethical as well as military. The creation of the atom bomb demonstrated that science could be organized–and organized by the government–on a hitherto unimagined scale. It also showed that science could be used as an instrument of state power exponentially more potent than previously recognized. And, of course, it raised the direst possible questions about the scientist’s moral constitution and moral responsibility. The sorcerer had become the sorcerer’s apprentice. All of these issues grew more urgent as the cold war set in. The government needed scientists, but in the McCarthy era, it also distrusted their necessarily internationalist outlook (and, in many cases, their cosmopolitan origin), a tension put on public display in the fall of J. Robert Oppenheimer because of his supposed Communist sympathies. But Washington also wanted more than just the geniuses. The National Institute of Health was reorganized, and pluralized, in 1948 (it now comprises some twenty-seven institutes and centers). The National Science Foundation was established in 1950. NASA and DARPA were founded in 1958. Such was the scale of the new national project that the country needed everybody it could get. Time and Life, the Rockefeller Foundation and Margaret Mead were recruited to the task of convincing a generation of young people that the scientist needn’t be exceptionally gifted (the merely average were welcome), socially peculiar (scientists were regular folks) or above material rewards (science could be a path to middle-class comfort). Sputnik only quickened the anxieties that drove these transformations. The era of Big Science, and ordinary scientists, had arrived. In the 1970s, a new external threat and new forms of technology began to usher in a still different set of institutional arrangements and fresh conception of the scientist’s character and social role. The anxiety now came not from Soviet missiles but Japanese engineers. Big Science had become too big, too slow. Corporate and federal bureaucratic dinosaurs had to be supplanted, or at least supplemented, by a nimbler species. Academia, where most cutting-edge research was done, was seen as the likeliest reservoir of potential talent. Industry started funding university science; Washington started funding applied research. Schools, seeing the potential for large new revenue streams, set up offices to oversee the marketing of intellectual property; professors entered into private partnerships to develop their discoveries or left academia altogether to found start-ups. These initiatives were instrumental in opening the two vast and lucrative fields that have dominated technological development over the past three decades: IT and biotech. The corporatization of the American university had begun. By 2001, the dean of engineering at the University of California, San Diego, Shapin’s longtime institutional home (he is now at Harvard), could claim that academia had added a third to its two core missions. The goals of the modern university, he said, were teaching, research and technology transfer. The school’s president went one better, overturning the old conceptions altogether. “As scholars,” he announced, “we should not seek knowledge for its own sake.” Einstein had given way to Bill Gates. The new hero of science was, and still is, the technological entrepreneur. Loud choruses of protest greeted all of these developments. In “Science as a Vocation” (1918), Max Weber suggests that the scientist’s immense moral authority would be lost if the pursuit of knowledge were diverted to utilitarian ends. In Sinclair Lewis’s Arrowsmith (1925), a novel that inspired generations of American scientists, the eponymous protagonist struggles to choose between his passion for pure research and the more tangible rewards of a medical career, finally following the loftier, lonelier path. After the war, William Whyte’s The Organization Man (1956) was only the most visible of many works warning that bureaucratic hierarchy and conformity would smother the independent creative spirit necessary for true innovation. The concerns were practical as well as moral. By trying to organize an inherently unpredictable and individualistic pursuit, Big Science, it was felt, would “kill the goose that lays the golden egg.” And in its desire to maintain the secrecy of proprietary information, corporate culture would stifle the openness essential to the diffusion and advancement of knowledge. More recent commentators have worried about the infection of academia by the profit motive. Would academic scientists, seduced by outside opportunities, neglect their duty to train the next generation of researchers–or even worse, put their graduate students to work on private commercial projects? Would universities shift resources away from less potentially lucrative fields of study and areas of research, whatever their intrinsic intellectual value? Shapin’s key concept here is uncertainty. The unpredictable path of scientific discovery–the fact that no one knows what the future might look like, or how we might get there–requires patience and flexibility on the part of research managers, a willingness to indulge the spirit of inquiry. Most lines of investigation will wind up at a dead end, some will arrive at profitability, a few will lead beyond the dreams of avarice. Shapin’s final chapter traces the same logic at work among the venture capitalists who fund start-ups, the incubators of today’s tomorrows. Because success is so uncertain, VCs invest in people as much as ideas, moral qualities like passion and fortitude as much as the promise of a technology or the logic of a business plan. As for the organizational dispensation that venture capital has helped usher in, the hybridization of academy and industry, Shapin quotes voices on all sides of the debate. Some scientists, including those with experience in the private sector, deplore what they see as the conformity, hierarchy and materialism of the corporate environment. Others, though, are equally disillusioned by academia–not only the burden of teaching duties and the constant scramble for grant money but the paradoxical fact that universities, having absorbed a great deal of managerial philosophy of late, have created environments that are often more hierarchical, tightly controlled and inimical to intellectual autonomy, especially for the young scientist, than corporations. Still others welcome the integration of the two spheres. Academic researchers may put students to work on commercial projects, but that kind of training is exactly what a lot of them want, and not necessarily for materialistic reasons. Industry offers the chance to have a more immediate impact on the world: to see the results of one’s work in tangible form and to contribute in direct ways to the social good. It also affords a broader range of personal challenges, a greater intellectual variety and the chance to be part of a team of equals. All of this is unarguable as far as it goes, but it leaves most of the important contemporary questions about science and society unaddressed. To be fair, these are not really Shapin’s concerns. His primary goal is to scrape away the ideological barnacles that have accreted around the image of the scientist so as to see what kinds of virtues and values scientific work actually involves. His larger theoretical agenda is to overturn the social-scientific dogma that holds that modernity involves an inexorable shift from Weberian charisma to impersonal authority, from “subjectivity to objectivity, the personal to the methodically mechanical, the individual to the institutional”: to show that the virtues of “familiar people”–specific individuals known to one another through face-to-face contact–still matter. But even if Shapin’s subject is the scientist rather than science per se, his account implies a particular view of the latter. So determined is he to avoid any hint of evaluative intent, so resolved on answering the biases of earlier commentators with a scrupulously bland descriptiveness, that he ends up projecting a kind of laissez-faire attitude. Some scientists like to work in the academy, some like to work in industry, some like to straddle the two–it’s all good. But is it all good? It is for the scientists, if they can find their way to a place that suits their temperament. What matters to the rest of us, though, is not whether scientists are happy with their work but whether we are. Shapin seems to assume, and in turn implies, that no matter where scientists have done their research, we have always gotten the kind of science we need. But despite our status as the world’s leading scientific nation, and despite the many undoubted triumphs of American scientific research, it is not at all clear that we have. The real issue is precisely the one that Shapin ends up dismissing, the one that has been troubling social critics–and quite a number of scientists–since the days of Weber and before. Does the injection of the profit motive into scientific research distort the kinds of questions that get investigated and degrade the quality of the results that get produced? There are strong reasons to believe that it does. The lion’s share of Nobel Prizes still comes, as it always has, from academia. 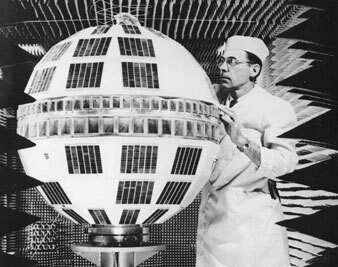 Bell Labs, the crown jewel of industrial research, has produced six. Columbia, Harvard, MIT and a long list of other universities have produced several times that many each. Granted, the main province of industrial science is applied research, but how well have we done there, at least since World War II? Why is it that Japanese and German engineering–their cars, their cameras–have long been so superior to ours? Shapin speaks about the crisis of American competitiveness in the 1970s, but he doesn’t pursue the inference that it reflected a failure of corporate science over the previous decades. As for the large-scale federal programs that once made up such an important share of our national identity and national pride, as these have become increasingly subject to the pressures of political interests–which is to say, of financial ones–they, too, have declined into mediocrity. On the one hand, the Manhattan Project and the moon landings; on the other, the space shuttle and Star Wars. Given this record, do we really want to turn academic science over to the logic of the marketplace? Already, as Shapin notes (though only to show that academia may no longer be much better than industry anyway), corporate methods and values have begun to corrupt the academic enterprise. Investigators, especially those still clawing their way up the tenure ladder, are judged by the quantity, not the quality, of their scientific work, a situation that encourages small, rapid and repeated publication rather than the development of broad conceptual reach and the slow maturing of insight. (Scientists speak ironically of the LPU, or “least publishable unit,” the smallest quantum of knowledge acceptable for separate publication.) Scientific fields less amenable to the new mission of technology transfer–astronomy, paleontology–find their institutional fortunes declining, to say nothing of the humanities and social sciences. Worst of all, basic research, the foundation of everything else, including long-term technological competitiveness–yes, the proverbial golden goose–is being sacrificed to the most obtuse notions of utility. The problem is most severe where government involvement, and therefore political interference, is greatest. The cancellation of the Superconducting Super Collider project in 1993 meant nothing less than the abdication of America’s leadership in basic physics. (CERN’s Large Hadron Collider under the Franco-Swiss border is beginning the vast exploratory work the SSC would have done.) Scientists at NASA’s Jet Propulsion Laboratory have complained for years that valuable unmanned projects have been starved of funding to feed the scientifically dubious shuttle and space station programs. But the most urgent argument against the continued corporatization of science lies in one of the fields where Shapin’s concatenation of academic scientists, technology transfer officers and venture capitalists has been most active: biotech. Whatever the value of the drugs and devices produced by small start-ups, these companies are part of a larger system that is dominated by Big Pharma. In fact, the whole business model in biotech depends on the assumption that a firm, if successful, will be bought out by one of the major drug-makers. And as yet another wave of books has shown, Big Pharma has thoroughly corrupted the academic medical system (see “Drug Companies and Doctors: A Story of Corruption,” by Marcia Angell, former editor of The New England Journal of Medicine, in the January 15 edition of The New York Review of Books). Doctors are bribed with speaking and consulting fees; institutions, with endowed chairs and funded awards; professional organizations, with the subsidization of conferences. Useless or even dangerous drugs are promoted, negative findings suppressed, research papers ghostwritten by the very companies whose medications they are supposed to be evaluating, whole conditions invented through a process Angell calls “disease-mongering” to create new markets for existing products (shyness becomes “social anxiety disorder,” PMS “premenstrual dysphoric disorder”). The system works well for everyone except patients. This is what comes of thinking that scientific integrity can survive the assault of the profit motive. So vast has the apparatus of scientific discovery and technological development become that we have all but stopped noticing it. We simply take it for granted that such wonders as theoretical physics, molecular genetics, space exploration and computer science will continue as a background condition of contemporary life. There’s a certain fatalism to this. Though developments like cloning and genetic sequencing sometimes stir a bit of halfhearted professional hand-wringing among ethicists and journalists, nobody really seems to think we can do anything about them. But there have been exceptions, moments when citizens have decided not to let scientific business go on as usual. One such moment involved the AIDS community, which not only managed to change the course of research into that disease but also challenged the idea of science as a realm of pure objectivity unaffected by human bias and interest. Another involved the opposition to embryonic stem cell research, which insisted that scientific issues are not just technical but also moral ones, and largely succeeded in blocking that avenue of investigation in this country. Whatever one thinks of either development, both demonstrate that we do not have to acquiesce in the notion that scientists and the institutions that employ them are necessarily the wisest custodians of our technological future. The choice is not between the disinterested pursuit of truth for the sake of the common good and the meddling of ignorant laypeople. The choice, as it always is, is whether corporations will control our collective fate, or we will.